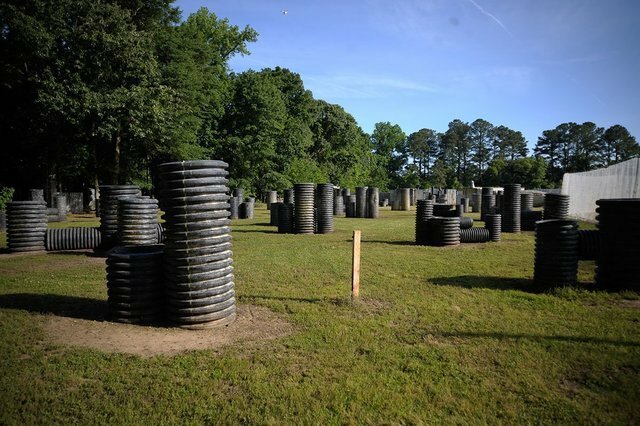 Bethel Battlefield Paintball Park, located right off Interstate 64 in Hampton, Virginia. We are Hampton Roads’ true professionals at delivering a high quality paintball experience for our guests. Woodsball, Hyperball, Airball and our MOUT site are just a few of the playing fields that continue to bring players back to Bethel to relive that hair raising, on the edge feeling that all adrenaline junkies are in search of.